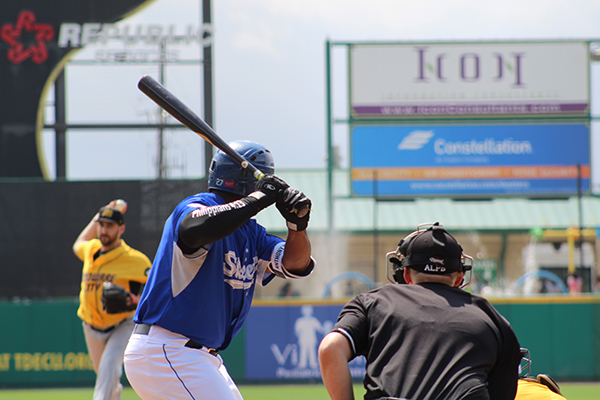 After spending an injury-marred six seasons in the Pittsburgh Pirates Minor League system, Barrett Barnes became a free agent for the first time in his professional career when the team released him in March. A day went by, and no Major League organization placed an offer in for the 45th overall pick of the 2012 MLB Draft. “At first, I was really ticked off,” Barnes said. The 26-year-old wouldn’t stay down for long because the answer to the next step of his professional career brought him back to a familiar spot – his hometown. Barnes attended Stephen F. Austin High School in Sugar Land before becoming the third-highest position player drafted out of Texas Tech at the time of his selection. 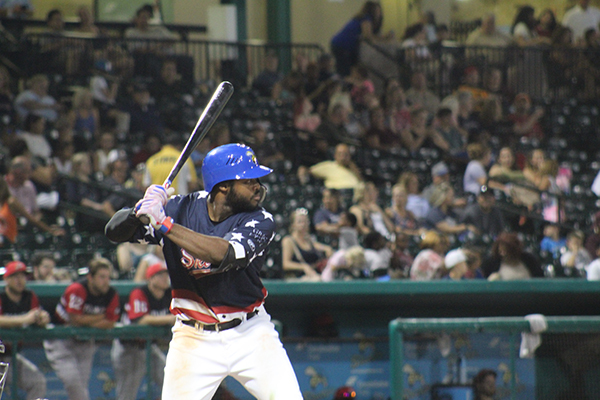 Barnes bought a house in Sugar Land and is currently living with fellow Skeeters outfielder, Courtney Hawkins. He lives just three minutes away from his mom, Kay Barrett, who’s yet to miss a game at Constellation Field this season. The living situation isn’t the only difference for Barnes. His impression of the Atlantic League has immensely changed as well from his early memories of the Skeeters. Barnes has had mixed results to open the season. Through May 23, he was hitting just .214 without a home run, but was also leading the Atlantic League with 21 walks, tied for the league lead with 20 runs and was ninth in the league with a .424 on-base percentage. While Barnes is surrounded by family, possibly his greatest asset in Sugar Land has come in the form of Skeeters manager Pete Incaviglia. That kind of independence wasn’t always there for Barnes in the Minors. That gave him the chance to figure out the best way to prepare himself daily. Barnes’ return to Sugar Land has been a much-needed homecoming. However, his return to the area has come without one of his biggest mentors -- his uncle and former Major Leaguer, Anthony Young, who died in June 2017 at the age of 51. Young, who played six seasons in the Majors, signed with the Astros in July 1996 and spent one year with the team. At three years old, Barnes accompanied his uncle to the Astrodome for nearly every every home game that season. Barnes still has plenty of ups and downs to endure in his professional career. While he’s in Sugar Land, he won’t have to endure the struggles while living out of a suitcase and traveling around the country on a bus, which is the case for most Minor Leaguers. He’ll have the people who love him most by his side as he looks to make it back to the affiliated level and eventually the Major Leagues. 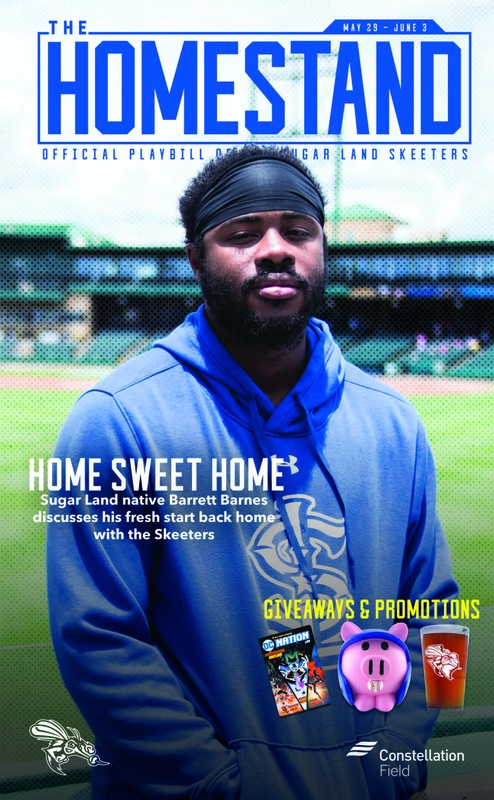 This story debuted in the Sugar Land Skeeters Playbill on May 29 and was written by Media Relations Coordinator, Ryan Posner.